Few cocktail ingredients come with as much baggage as Jägermeister. Most people’s first interaction with the herbal liqueur in the green bottle comes in the form of an icy shot their bro-y friend bought them at a terrible bar or possibly as a bomb, dropped into a pint glass full of red bull. Neither of those offer much inspiration for those who taking their drinking a bit more seriously. 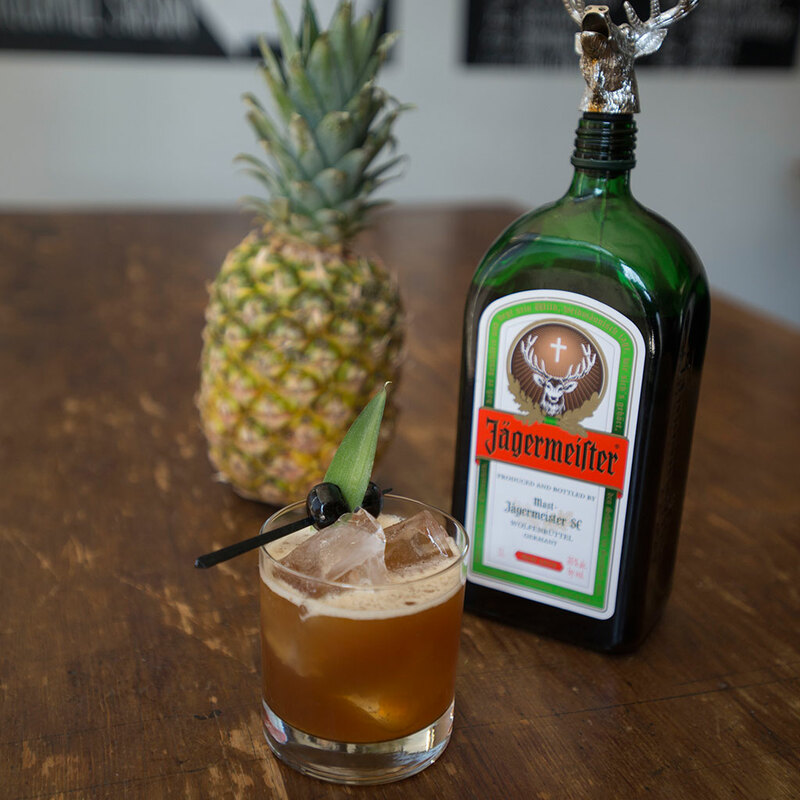 But Jäger can add a wonderful complexity and bite to all kinds of cocktails and has a history that goes back decades. We tracked down recipes from a number of elite bartenders to find out how they’re using Jägermeister in ways that will hopefully give it back the reputation it deserves. Shake all ingredients and strain into a coupe, top with champagne. Garnish with an orange twist. Spray rocks glass with chartreuse. Add chilled Jägermeister and root beer. Add scoop of vanilla ice cream on top. Dash ice cream with root beer bitters. Twist an orange peel around the glass’ rim to express its oils and discard. Stir over plenty of ice strain into a Rocks glass filled with ice. Orange twist. Stir all ingredients in a mixing glass with ice. Strain into a cocktail glass with lemon oils expressed. Shake all ingredients with ice. Strain into an Old-Fashioned glass with large cubes.